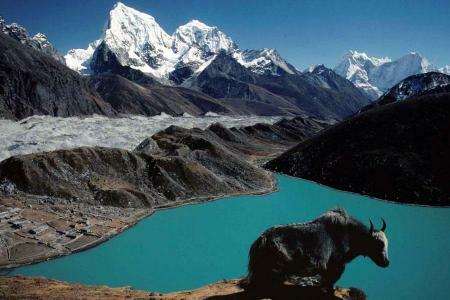 This is magnificient and famous trekking trail is set amongst breathtaking high mountain scenery. 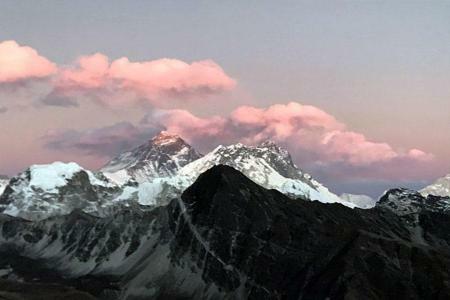 Everest Three High pass trek is one might be challenging and strenuous for the beginner, It is essential to have past trekking experience above 4000m at least. 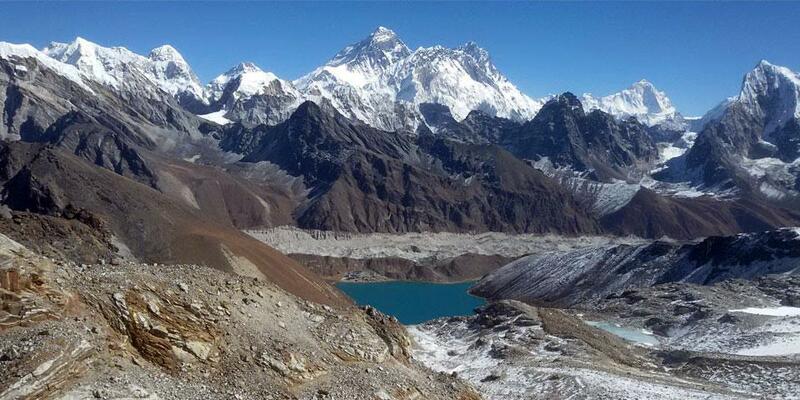 This trip is one of the adventurous trek passing through Khangma-La Pass (5535m) Chola-La pass (5368m) , Renjo La pass (5338m) and other high light such as Gokyo Ri, Kalapather and Everest Base Camp. Magnificent landscapes, imposing and prestigious peaks, tapering ridges and colorful villages contribute to turning this trek into an unforgettable experience. From Kathmandu we fly to Lukla, and the adventure begins as we land at its tiny airstrip. We spend several days trekking through the most beautiful mountains. A day is spent at Namche Bazaar, the bustling market town in the heart of Sherpa country, and at Dinbuche a cluster of houses set among the high summer grazing pastures of the region. 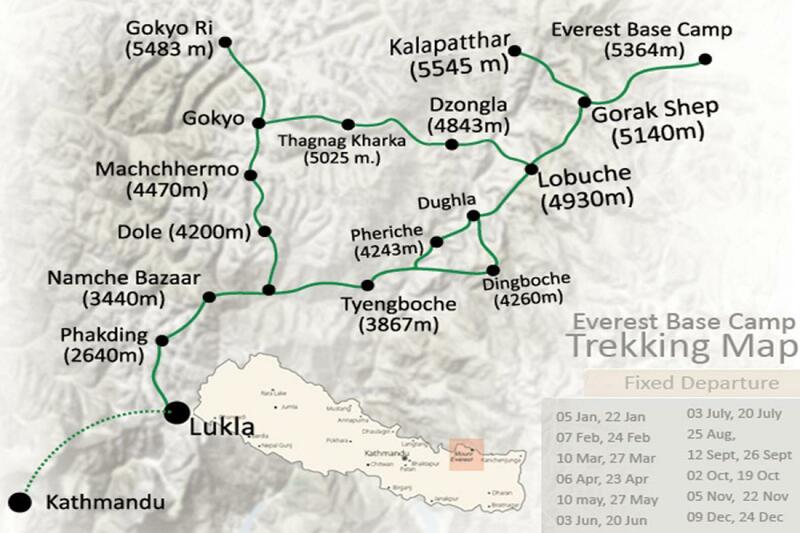 These rest days allow time to explore further and to acclimatize, an important factor in your enjoyment of the trek. Hotel in Kathmandu with breakfast at 2 to 3 stars level ( for two nights). Twin sharing comfortable and clean private room in trekking( for 16 nights). Strong and friendly mountain porter to carry your trekking baggage. Food, drinks, accommodation, insurance, salary, equipment’s, transportation, local tax for Guide and porter. 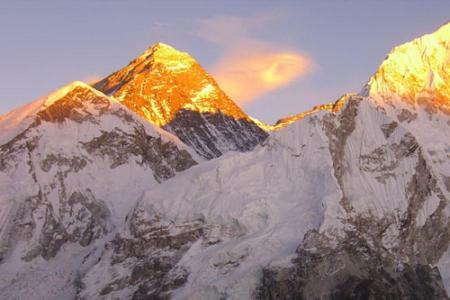 All necessary paper works and Everest national park entry permits. Meals and all kinds of drinks in the mountain. Additional hotel accommodation in Kathmandu.